Ask lifelong darts enthusiast Mike what makes a great player, and he doesn’t have to think twice. 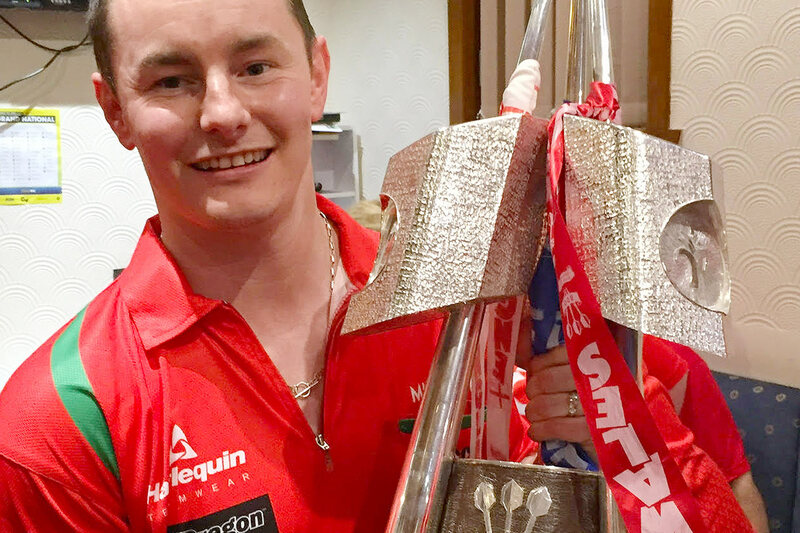 “Mentality,” says the 34-year-old Welshman, a semi-professional darts player himself, who came to Chris Bailey Orthopaedics in 2017 following a serious shoulder injury. Mike has been steeped in the sport all his life. His father played on the amateur circuit, and through that he grew up watching darts legends like first World Champion Leighton Rees at close quarters. Not that it’s all about the competitions. “Obviously I play because I’m quite competitive, so I want to win ranking points and compete on a regular basis – but the appeal of darts is also in the friendships you gain from it,” Mike adds. In the early part of 2017, Mike felt that he was coming into some of the best form of his career. But then he suffered an unexpected injury. “I was playing five-a-side football with a few of my friends,” he recalls. “To be honest, it’s all a bit of a blur now, but I went in for a challenge – and it wasn’t vicious, or anything like that – but I must have done some kind of somersault in the air. So I didn’t have time to protect myself with my hands, and my shoulder just hit the concrete floor. Hospital x-rays showed Mike had torn several shoulder ligaments in his left, throwing arm. But it was only as the swelling began to subside that he began to realise the full extent of the damage. When Mike subsequently came into the clinic for a full assessment, Mr Bailey diagnosed the injury as a dislocated acromioclavicular joint, and was able to lay out the next steps. “He told me it’s an injury you commonly see in rugby when players go into the scrum,” Mike explains. “And while it wasn’t the worst example he had ever seen, he’d also seen quite a lot that weren’t so bad! “Basically the ligaments were stretched so that they weren’t doing their job anymore – they weren’t keeping the clavicle bone down and into the joint. I was also struggling to sleep on that side of my body, or to put any weight on the shoulder. The pain was deep down. Coming at it from a darts player’s perspective, Mike’s main concern about surgery was how it would affect his game, since – ironically – he was competing better than ever before. Ultimately, though, Mike did decide to go ahead with surgery. Mr Bailey performed a stabilisation of his acromioclavicular joint, repairing the damage with a synthetic ligament and returning the bones to their natural positions, and the operation went very well. How did he find the recovery process? “To be honest it wasn’t very painful at all in the beginning, and I was really surprised by that. It hurt a lot more after the accident itself than it did after the operation.